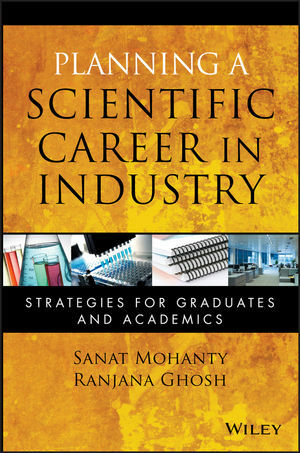 With the backing of authors who have distinguished themselves in industry, this book presents a variety of techniques and applications, along with sound guidelines, that help chart a career course filled with rewarding opportunities—both personally and professionally. Sanat Mohanty, with a PhD in chemical engineering, has worked in R&D and in technology management at 3M. He has been involved in scoping new technologies and developing them for a variety of markets. He also spent signi-ficant time interacting with graduating scientists and engineers and orientation of new graduates in the industry. Ranjana Ghosh, with a master's degree in chemical engineering, has spent more than twelve years in industry in India and the USA, working on operations research applied to a wide set of areas, including transportation, chemical industry, aviation, and defense. Most recently, she was engaged in developing technologies for the aerospace sector as a scientist at Honeywell. Chapter 1. Thinking About Careers. Chapter 2. Meet the Industry. Chapter 3. The Protagonist of Your Career. Chapter 6. Leadership and Growth.